SHARE Toast your glorious event with these stemless wine glasses and create a day to remember! Can I buy these 9 0z stemless wine glasses plain without design? I need 50. How much would they be? 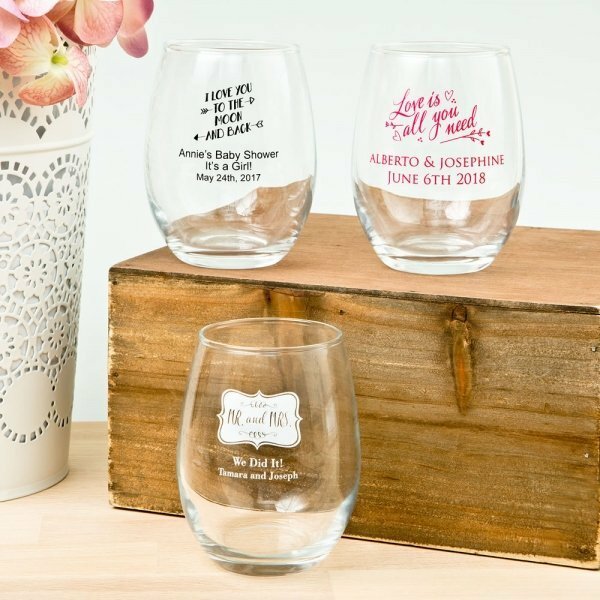 You can check the Perfectly Plain Stemless Wine Glass Favor, this is the plain version we have for 9 oz stemless wine glass. Hello. Do you have any designs with a yin yang sign? I'm sorry only the designs listed in our product page are available.